Marble is now more affordable than ever, thanks to the direct import and distribution business offered by Stonexchange. We are proud to serve commercial customers across the United States with some of the most beautiful marble stone on the Planet. This material is expertly cut into tiles, window sills, thresholds, and shower shelves. Contractors and architects look for affordable ways to incorporate natural stone products into their building plans. Today’s modern apartment complexes and condominium developments call for contemporary designs that integrate the timelessness of natural stone into the indoor environment. It is no wonder that home improvement centers, interior designers, and apartment complex architects are constantly on the lookout for wholesale pricing on bulk orders of top-quality marble. Why Purchase High Quality Marble? Using natural stone products as part of the interior design of an apartment unit or commercial office makes good financial sense if the price is right. Once installed, marble lasts for decades with little or no maintenance required. In other words, once the initial cost to install the material is fronted, the premise has now substantially increased in value. Marble window sills are placed directly on top of the substrate, meaning that water percolation from the outdoors becomes impossible. This is important when considering the usable life of the window frame and the cost of a major repair. Wood frames absorb moisture and eventually buckle, causing the entire window to sag, pull, or even crack. A marble window sill is installed in such a manner as to create a floating effect. The sill is wider than the actual window, cutting into the adjoining sheetrock. The appearance is breathtaking, especially when the color shade of the sill complements the hue of the interior walls. The color chosen is important because the sill complements any other natural stone used in the room. This includes stone thresholds and marble floor tiles. The room takes on a stately appearance, one that still leaves virtually limitless possibilities for decorating. Marble speaks of wealth and taste. It also tells potential buyers or renters that the unit has been designed with a lot of forethought on the part of the architect and/or property manager. Marble helps assure the tenant that he or she is going to be well cared for by the property management. Until recently, marble was considered too expensive as an interior design product. Although window sills are rather small and easy to ship, they can be expensive when the material used is a natural stone product. Marble is also heavy, making it even less cost effective unless ordered in bulk. Most of the world’s finest marble is quarried in the southern part of Europe. Large quarry operators in Italy, Turkey, and other areas in this region take slabs of marble directly from an underground formation, cut it into thinner sheets, and send it to a manufacturer that transforms the rough product into polished or honed tiles, thresholds, and window sills. This process can be expensive if the order is for a very small quantity of stone. There are also shipping costs to consider, and the price to send a small package of dense, heavy marble across the Atlantic is prohibitive. Stonexchange has solved this problem completely. We partner directly with overseas manufacturing operations and import bulk quantities of marble window sills on a constant basis. Our containers are filled with hundreds of sills, packed carefully to reduce breakage. Our company saves on import fees and ocean freight charges, and we pass this savings along to our commercial customers here in North America. Our Miami-based distribution warehouse is constantly filled with all of the popular sizes and color shades of window sill material. Depending on the size of the order requested by the client, our orders can be processed and be on their way to the customer in as little as two business days. The main advantage of purchasing fine-quality marble from a direct importer is the reliability factor. Regardless of the season, we have exactly what the client needs. We also offer our commercial customers the ability to order non-standard size window sills. Our manufacturing partners will take the requested information and custom-cut window sills needed for the job at hand. Apartment construction is usually completed in phases, and certain parts of the complex may require a completely different list of interior materials. Many apartment complexes have five or six different floor plans, and they have separate and divided sections for singles and families. If the project calls for different types of window sills at different phases of the construction process, several purchases of material may be required. At Stonexchange, we are ready to devise a multi-sectioned order process, meaning the customer will pay no extra for separate orders for different size/color sills. This ensures that the client does not have to purchase the entire amount of window sills as a single order but can still take advantage of our wholesale pricing. Stonexchange has monitored the construction industry closely and determined the most popularly requested styles and colors of window sills. Most building plans include a color shade for the sills and thresholds, and we have matched these shades to the styles we import. Our Crema Sahara Marfil is perfect for instructions that call for the use of beige or botticcino color shades. 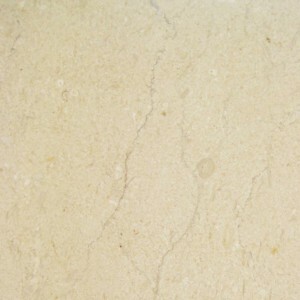 This marble sill is a creamy beige that has wonderful veining patterns in the stone. Its light color is popular because it complements reds, browns, and blacks very nicely. Our Crema Sahara Marfil sills can be ordered with either a honed or polished finish. We carry sizes of 37-inch, 60-inch, and 74-inch sills in our inventory. Our 37-inch Crema Marfil sills are packed in quantities of 100 pieces, and our longer sills come in crates packed with 50 pieces. Nuevo Carrara window sills work extremely well for building plans that call for the use of Georgia or Alabama White, Carbonia, Cherokee, or Vermont marble. This style is offered in sizes of 37-inch, 56-inch, and 74-inch sills. Packing quantities vary according to the length and width of the sills ordered by the client. Our Pure White Thazoz sills are manufactured from engineered stone, and the polished surface is brilliant in its appearance. It contains no spots or veining, and is completely waterproof. These sills are available in 74-inch lengths, and come in full crates packed with a total of 50 pieces. We also carry Absolute Black Granite, a popular natural stone used in the manufacturing of window sills. Our granite sills come in lengths of 37-inch and 74-inch, a width of 6 inches, and are finely polished. Our delivery crates contain 50 pieces each. Remember that Stonexchange will fill orders for beveled pieces as well as the standard cornered sills. Our standard window sills are 5/8-inch in thickness, but we will design a custom order for clients requesting a thicker material. Although our company specializes in supplying home improvement centers and large retail chains with marble product, we ship our marble anywhere the client requests. Our marble window sills are carefully inspected for quality prior to being packed into delivery containers. These containers are designed for easy loading and unloading onto overland freight trucks. Once at the job site, the crates can be unloaded with a lift truck. The sills are packed tightly and protected with cushioning material to reduce the possibility of breakage. Our commercial customers can expect low shipping costs because we have ongoing delivery contracts with several major freight companies, all of which deliver throughout the continental United States. Non-standard orders may take as long as two months to process. This is because the pieces must be cut at the overseas manufacturing site. However, customers usually know the exact size and color required for these orders well in advance, so the shipment generally arrives ahead of the due date for installation. We do not charge extra for non-standard sizes or widths. We think you will be extremely pleased with our selection and prices on window sills made from natural marble stone. Our business is geared toward clients needing large amounts of materials for construction projects such as apartments, office complexes, and condo developments. Because we offer our styles of window sills year-round, finding exactly what is required per the building instructions becomes a simple process when doing business with Stonexchange. For the best wholesale pricing and widest selection of natural marble stone, contact us and let our experienced sales staff design a bulk order. We will be happy to discuss any particulars concerning custom sizes as well as repeat ordering. We are a premier importer and distributor of fine marble sills, thresholds, and flooring tiles, and we look forward to serving all who desire beautiful marble at wholesale prices. Contact us today!